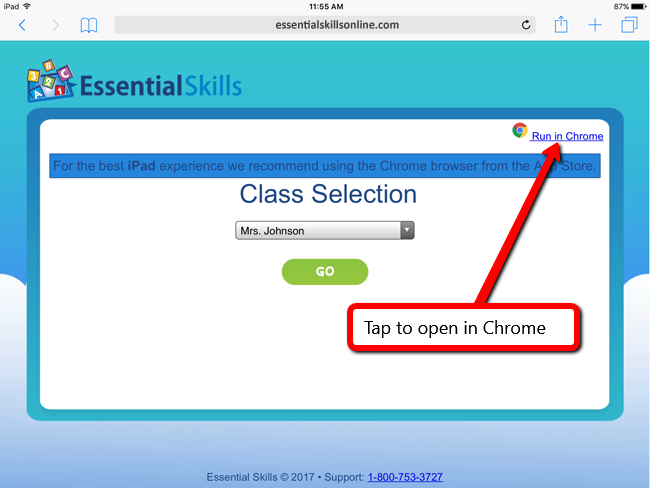 1) Go to www.essentialskillsonline.com using the Safari browser. 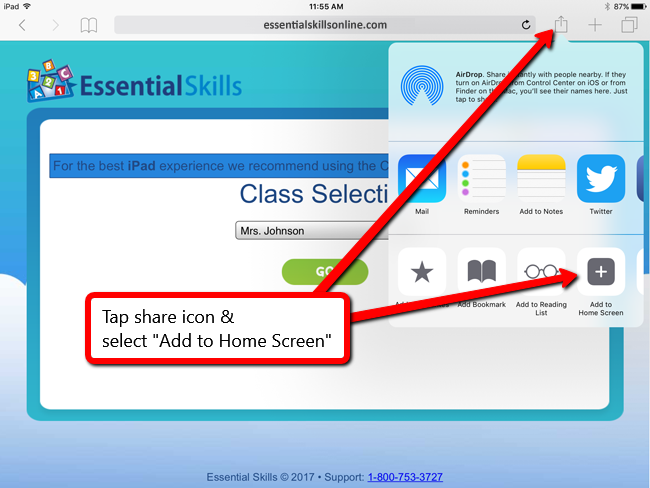 3) On the “Class Selection” page, tap the share icon at the top of the browser, select “Add to Home Screen” from the menu and tap “Add” when prompted. 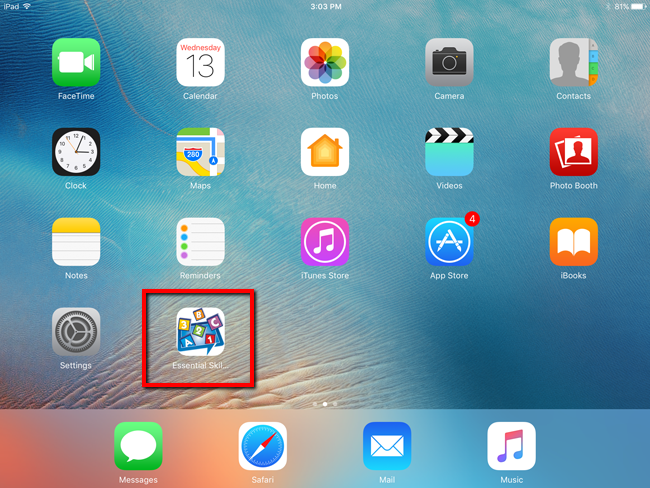 You should now have an icon on the home screen of your iPad to launch Essential Skills. 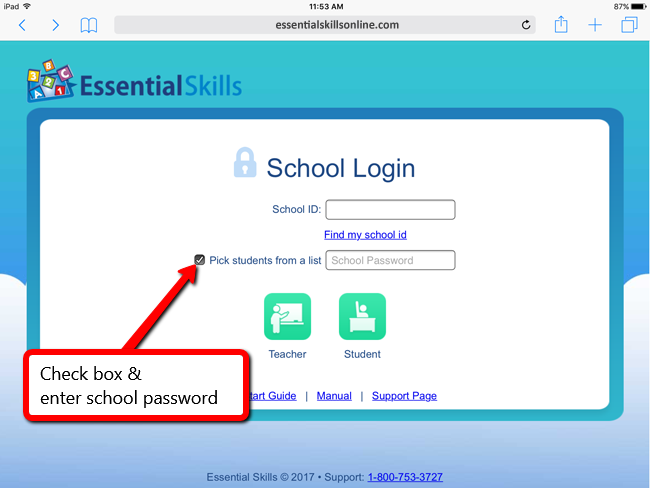 Note: If you do not see an Essential Skills icon, you may need to swipe right or left on the home screen. When the home screen becomes full, iPad will add a new one to accommodate for more icons. For optimal iPad performance, it is recommended that you run Essential Skills in the Google Chrome browser. Google Chrome can be downloaded for free from the Apple App Store. Unfortunately, it is not possible to add a quick launch icon using Google Chrome. To work around this restriction, the “Run in Chrome” link should be used to reopen the site in Chrome. Students can use the quick launch icon created in Safari, and then simply tap the “Run in Chrome” link to open the same page in Google Chrome.